for a relaxed and vintage look. Handloom bestows age’s old tradition of weaving natural fabrics. different weight of Washed linen fabrics which are most suitable for Table Cloth. These are not only soft but also supple and easy to wash.
back pocket or with polished brass eyelets for comfortable hanging. 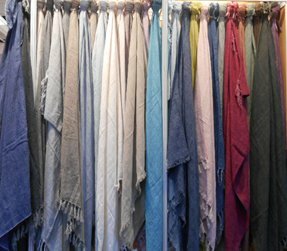 We specialize in linen, which is made from flax. Linen yarn is inherently strong, which reduces the need for starching during weaving. Linen fabrics can be recycled & environmentally friendly. Flax linen is many times stronger than cotton, which means clothing, window treatments, and upholstery made from linen are made to last. Linen fabric feels cool to the touch. It is smooth, making the finished fabric lint-free, and gets softer the more it is washed. Linen fabrics have a high natural luster; their natural color ranges between shades of ivory, ecru, tan, or grey. Pure white linen is created by heavy bleaching. 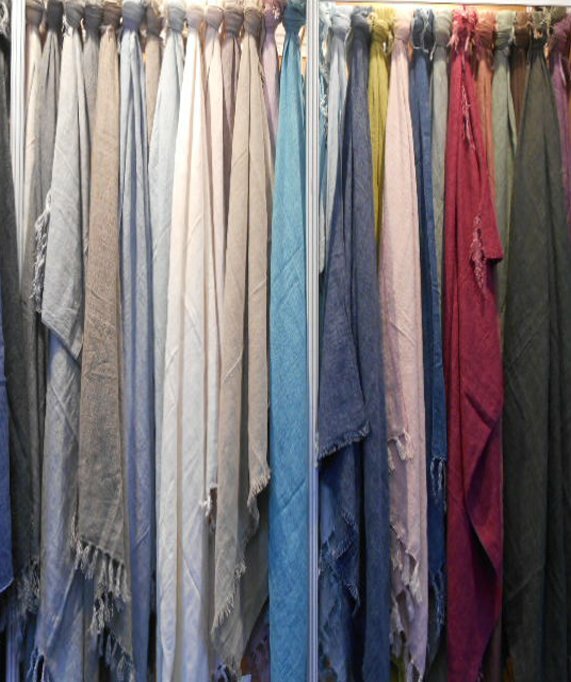 Linen can be dyed in any shade as per PANTONE color card. Linen fabric typically varies somewhat in thickness and is crisp and textured. Slubs are considered as part of the aesthetic appeal of an expensive natural product. Natural Linen fabrics hand feel is stiff and rough. As such, we put the linen fabric in to vigorous washing by adding approved chemicals including softeners to make the fabric very soft, supple and vintage. The washed of effect on Linen & blended linen is simply mesmerizing. 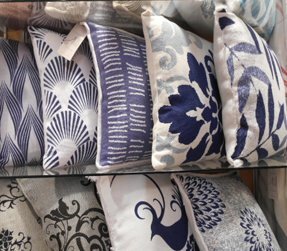 Most of the business that the Amit-enterprises team enjoys nurturing most is BED THROWS and coordinating CUSHION COVERS, KITCHEN LINEN TOWELS and CURTAINS..
Linen Kitchen Towels or Tea Towels along with Napkins forms the integral part of any Kitchen. The feel good factor increases when the soft feel of linen touches hands. 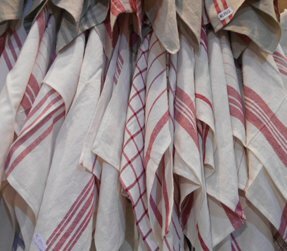 We are producing these kitchen towels in simple and unique patterns by linen yarn dyeing process. The elegant pure linen throws, rich in character and texture are made from natural linen yarn and then washed, giving its vintage charm. 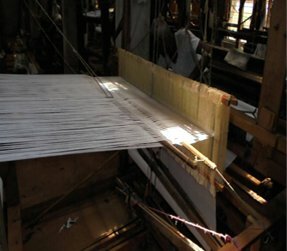 Handloom bestows age’s old tradition of weaving natural fabrics. We at Amit Enterprises get all our yarn hand dyed, sun dried and then put on the loom for hand weaving. The resultant fabric is a magic which is simply mesmerizing. 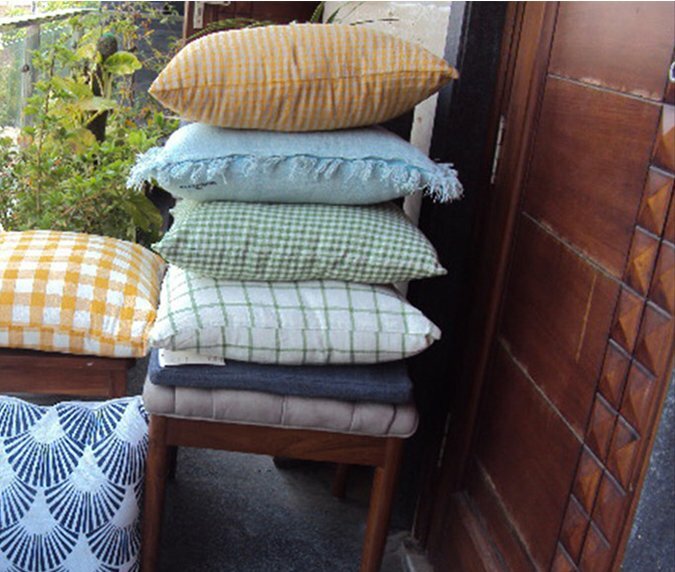 Relax with Natural Linen Cushion and embrace beautifully simple and casual style. Our linen Cushion covers are handmade and hand dyed. The depth and texture of washed cushion is truly unique and exceptionally soft.